Lockheed Aircraft produced the 10A as its first twin-engine transport designed in 1932-33 to compete on the shorter routes with the Boeing 247 and the Douglas DC-2. It was an all metal, "all weather" aircraft with retractable landing gear and a passenger/crew boarding door on the left rear of the fuselage. The wing design was similar to the Boeing 247 in that it had a truss passing through the passenger cabin to connect the wing spars. Another unique feature was a forward raked windshield design which was on the first 3 aircraft and later dropped for the standard sloped design due to heavy ice build-up. 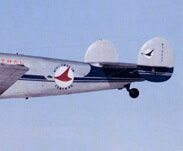 Its passenger capacity was the same as the 247 at 10 pax, but below the DC-2 at 14 pax. Even though its Pratt and Whitney R-985 Junior Wasp engines developed less horsepower than its counterparts, the 10A's cruising speed of 190 mph was 10 mph faster than both the Boeing and Douglas products. 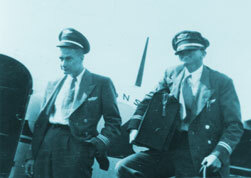 First flight was February 23, 1934. It first entered service in October 1934 with Northwest Airlines using the prototype aircraft (tail # X233Y-reregistered for NWA as NC2332-s/n 1001) for the Minneapolis-Chicago route. A total of 109 10A's were built between 1934 and 1941 with most delivered to airlines such as Northwest, Braniff, Trans-Canada, Eastern, British Airways and various divisions of Pan American.  The remainder went to corporate flight departments, governments and private individuals throughout the world. 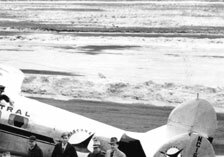 The most famous of these Lockheeds was the similar 10E model which was flown by Amelia Earhart during several record breaking flights and ultimately disappearing on July 3, 1937 on the last portion of a round-the-world flight. 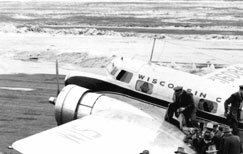 On the last day of 1946, Wisconsin Central Airlines had been awarded its temporary certificate to operate Air Mail Route 86 on 1400 miles to 43 cities. Finding a suitable aircraft with which to serve this route system was a major hurdle. Not only did the new airline lack enough funds for modern airliners, many of the airports to be served lacked facilities sufficient enough to handle them. 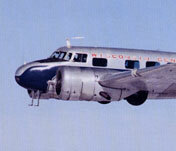 The perfect solution was the Lockheed 10A. Already an old airplane, Wisconsin Central purchased a total of 6 of the 10A model for about $12,000 a piece. Three of the Lockheeds were ready when scheduled service began on February 24, 1948. To get the aircraft more up to date, the airline mechanics upgraded the communication and navigation equipment, requiring one of the 10 passenger seats be removed permanently. Other modifications included increasing the fuel capacity to 250 gallons and from 1948-49, new navigation receivers were installed to fly off of Wisconsin Central's own unique "H" type ground based airways system. This allowed the airline to operate at night and in weather to its stations lacking any government (CAA) facilities. When the last Lockheed was retired on May 1, 1951 to make way for an all - DC-3 fleet, the 10A's had safely flown almost 6,000,000 miles before being sold for a tidy profit at $35,000 per aircraft.